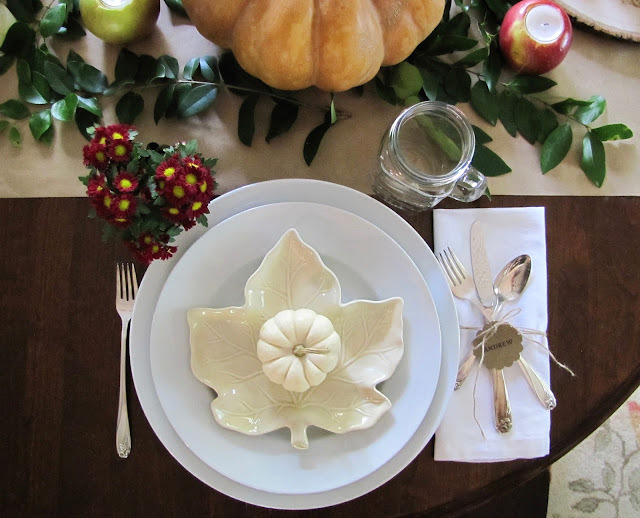 The holidays are fast approaching and we are excited to host friends and family for a Thanksgiving feast! 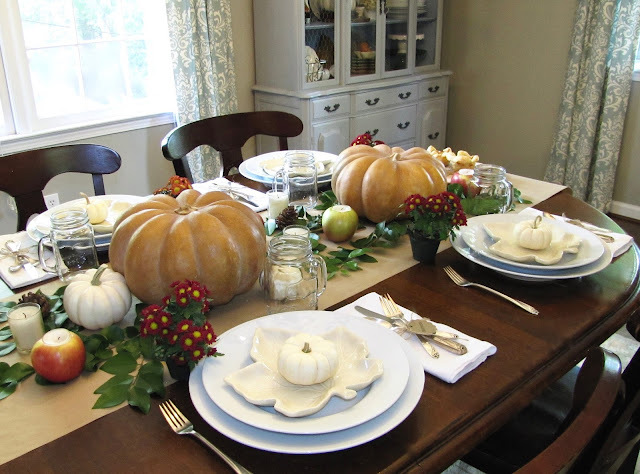 Since this is a special occasion I love to go all out and set a pretty table. 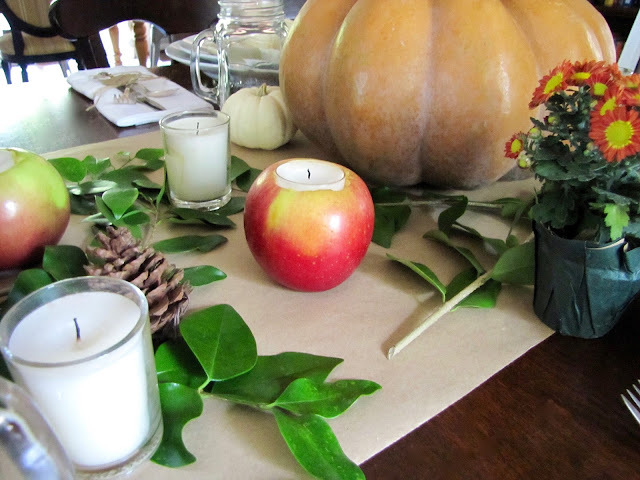 Layering some fresh greenery and fall fruit on top of a paper table runner keeps things simple and classy. I found these fairy tale pumpkins at a local grocery store and they will usually last the entire season as long as I don't cut them. 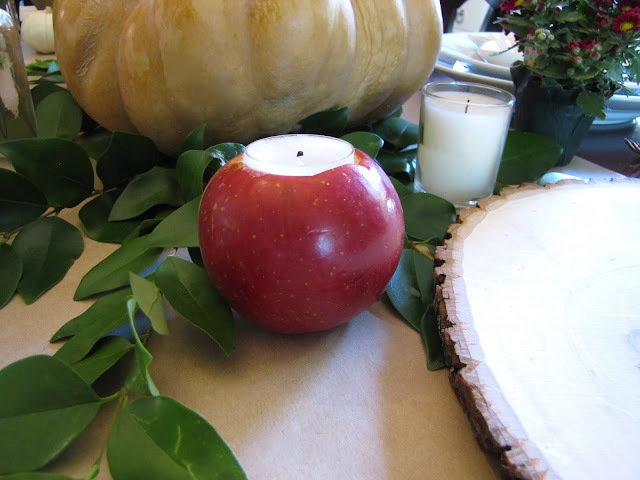 Candles are a staple when it comes to centerpieces and these DIY apple candles are so easy and festive. Perfect for the fall season! 1. Place the cookie cutter on the top center of the apple and press it down. This will make the outline of the hole for the candle. 2. 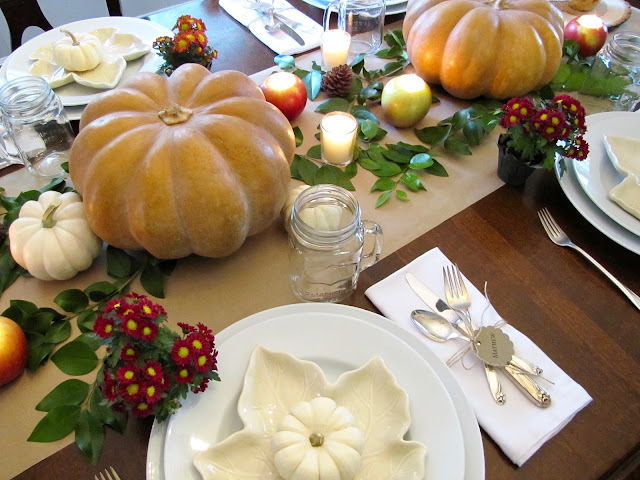 Next, using a knife scoop out enough of the apple so the candle can sit without having the sides exposed. 3. Pour lemon juice into the hole and let it sit for about 5 minutes. This will help keep the apple from turning brown. 4. Press the tea light into the hole. You might also like this delicious recipe for skillet apple pie!